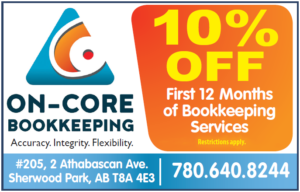 Hiring a bookkeeper can be tough and confusing! Without knowing how to do books yourself, you may not know if you are hiring the right person for the job. First of all, you should understand that bookkeeping is an unregulated industry. Therefore, anyone can call themselves a bookkeeper, and there is no specific skill set they have to bring to the table in order to call themselves a bookkeeper. To protect yourself, here are 5 simple questions to ask to see if you are hiring the right bookkeeper. They are certified through a professional agency. There are a number of professional agencies that will establish the credibility of a bookkeeper, and ensure they have the right knowledge. The two most reputable ones are the Institute of Professional Bookkeepers of Canada (www.ipbc.ca) and Knowledge Bureau ( www.knowledgebureau.com ). Accounting is complicated, and bookkeeping is much more than just data entry. Make sure that you have seen proof of their education from a post secondary institution. Professional Development is part of their portfolio. Accountants belong to organizations that demand that their members keep their certification updated. Bookkeepers should not be different. Professional development should be mandatory, and they should be able to provide you with a list of the education that they take on an ongoing basis. A referral from an accountant. The accountants are the ones that see the work that the bookkeeper provides, and they are the ones that can attest that it is done well. Referrals from other customers are ok, but nothing beats a referral from an accountant. All accountants will have a list of 1 or 2 bookkeepers that they love the most! They have Errors & Omissions insurance. Ask to see a “Certificate of Insurance” to ensure you are dealing with a professional that takes bookkeeping seriously. Top 5 Things to Attract a CRA Audit Bookkeeper vs Accountant – What’s the Difference?